Why Become a PADI IDC Staff Instructor? PADI IDC Staff Instructor allows you to teach the Assistant Instructor part of the IDC. This is a great course to teach as it keeps you directly in touch with the standards and updates to the PADI system. It also makes you an invaluable member of the dive centre’s teaching staff as you can promote and aid the dive centre’s instructor development courses. The London IDC has grown in success over the last couple of years and by becoming a Staff Instructor you can help to engage new candidates and also assist on the IDCs themselves. When we have lots of candidates, Staff Instructors are invaluable to the process. You won’t just be hanging about watching, you’ll be an integral part of the team, running teaching presentations and evaluating the candidates. I personally believe that helping run an IDC is one of the most rewarding jobs you can do as a diving instructor. After you attain Staff Instructor you’ll be able to begin working your way towards the Master Instructor rating. This relies on teaching AIs and also staffing IDCs. It’s not easy to attain and carries real kudos too. Even if you’re not too fussed about teaching AI or Master Instructor many Staff candidates comment to me how useful they found sitting in on the IDC again without the pressure of the IE at the end. You’ll be able take everything in again as well as learn about new teaching methodologies. You’ll then be able to apply this to your everyday recreational courses. For example, we cover the neutral buoyancy recommendations for teaching all courses now including hints and tips for getting your students into trim and how to exercise control whilst neutrally buoyant. What does the PADI Staff Instructor Course involve? When should you think about staff? To start off, you’ll need to be a Master Scuba Diver Trainer which means having 25 certs and also 5 specialities. I did my Staff exactly one year after my OWSI and just after attaining MSDT. There’s no great value in waiting until you have 100s of certs under your belt to do the course as, a bit like Advanced following on from Open Water, the information you’ll cover will be useful straight away. The Staff course itself is fairly straightforward. We need to cover 4 short lectures and you’ll also need to repeat the exams scoring 80% instead of 75%. You’ll need to do a knowledge development presentation and also a confined water presentation scoring a minimum of 4 instead of 3.5 and 3.4. After that you’ll audit a full IDC learning how to evaluate the teaching presentations and matching scores with the Course Director. As such we can run the PADI IDC Staff Instructor course anytime we have an IDC running. For more information have a look at the course page and also please do drop me a line! ‘Having completed my divemaster in the summer of 2013 I was confident that a career in diving was something I wanted. After getting lots of advice from friends who are also dive professionals I was convinced to take the next step forward and complete my IDC and become a PADI instructor. Due to the timings of the European dive season this only left me the winter to get this done. Having looked around London for an Course Director I came across Alex. I told him about my needs but also that I had no experience with cold water diving before. We met in the early January and began the course. Having proved my skills in the swimming pool we were able to focus on my main weakness; the written exams! Having never focused too much on the written side of diving I knew Alex would have to be patient with me but when the weekend of the exam came there were no problems and I passed. At the Easter I flew back out to Sicily where I completed my first full season as an instructor. When I had completed this I knew I wanted to keep furthering my dive education so I made contact with Alex again and we made plans for me to take the MSDT course over the first weekend of November. Yet again time to dust off the dry suit! Following the completion of the course I was able to apply to a wider variety of jobs and I soon received an offer to go and work on the Pacific coast of Mexico. This was a huge opportunity and I completed a full 10 month season out there! Q. Is it a good idea to become a Scuba Instructor? A. Yes of course and it will make you more attractive too. Q. I’ve just learnt to dive and now all I want to do is become an instructor and disappear somewhere hot. Am I being crazy? A. No that’s exactly how I felt, so that’s pretty much what I did. I started my IDC a week after my 100th dive so I certainly don’t think people need to go and do masses of diving to ‘get good’. You’ll need to do a bit of work and build those dives up but it needn’t take ages and is completely achievable. Q. What do I need to have done to become a Diving Instructor? A. You’ll need to have completed Open Water, Advanced, Rescue and Divemaster through the PADI system (or another training agency-crossovers are usually fairly simple). You’ll need 100 dives. If you’re struggling to get the dives up then can I heartily recommend a Red Sea Liveaboard? They’re a fantastic way to get about 20 dives in a week. You’ll also need experience in deep, night and search and recovery diving (best bet is to get the specialities). You’ll need to be declared medically fit and then you’re pretty much good to go. Q. Will I be able to get a job in the dive industry? A. Let’s assume that you are a friendly, reasonable person and a competent diver then the short answer is ‘yes, no problem. The longer answer is that full time jobs in the industry are usually abroad but if you’re prepared to go overseas then work can be found easily through the PADI jobs board and once you’re ‘in’ you’ll find out about more opportunities. In the UK most dive centres are crying out for weekend instructors, especially through the summer. It’s a part time occupation which most people do on top of a normal job but it’s immensely fulfilling. However there are fulltime opportunities in the UK if you’re prepared to seek them out and put yourself forward. Q. Will I be showered with riches? A. Er no. This isn’t a job you do if you want to get rich. You should receive payment for your work but If you’re primary motivation is money then you might want to re-think…. Q. Do I need to have excellent skills to start the IDC? A. You don’t need to have them nailed to perfection but you should be comfortable and familiar with them. That’s part of the Divemaster Course. If you’re rusty or want a little more practice it’s a good idea to get a pool session in before the IDC starts. Q. I’ve read through the website blurb about the IDC but what exactly does it all mean? To be a fully rounded instructor regardless of where you’re teaching there are a few specialities that you need to have under your belt. 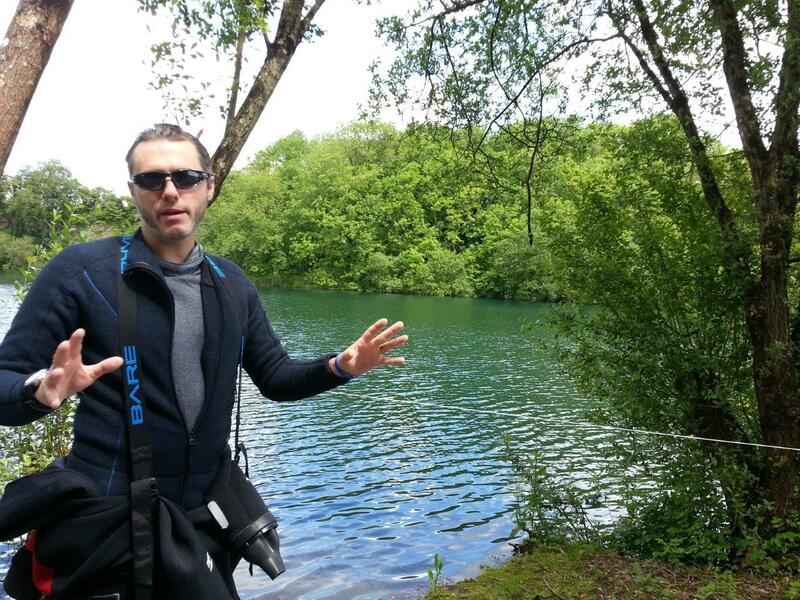 Here in the UK the most important ones are drysuit, deep, search and recovery, wreck and nitrox. If you can teach these specialities you’ll be more employable and more likely to get to do a wider variety of courses than just running referrals in the pool! Specialities are the most fun courses to teach, you’re usually dealing with qualified divers wanting to learn new skills, that means you’re not trying to ‘sell diving’ to someone you’re teaching them new cool stuff. It’s also really important to be able to up-sell from an Advanced Course to specialities as this will often be a newer divers first taste of activities like wreck or drysuit. I do a ‘UK Specs Weekend’ that covers these 5 specialities. This also primes you for MSDT as you require 5 specialties to qualify and means you can then go onto Staff Instructor and then hopefully help out on our IDCs! Earning instructor specialities is a little more involved than many people think. For each speciality, amongst other things, you’ll need to do a knowledge development presentation and then in water demonstrate all skills involved including running an open water teaching presentation just like you did on the IDC. If a speciality has 2-3 dives then most of the time the instructor speciality can be conducted in 1. If the speciality has 4 dives then it’s 2 at instructor level. As you can see this is a full program and we cover lots of stuff: Skills, drills and tips for teaching drysuit and search and recovery and then a lot on the control and supervision of deep and wreck courses which is vital to understand in the UK. I have heard of some individuals getting over 10 specialities signed off in a weekend. This isn’t possible and should raise a few eyebrows if offered. 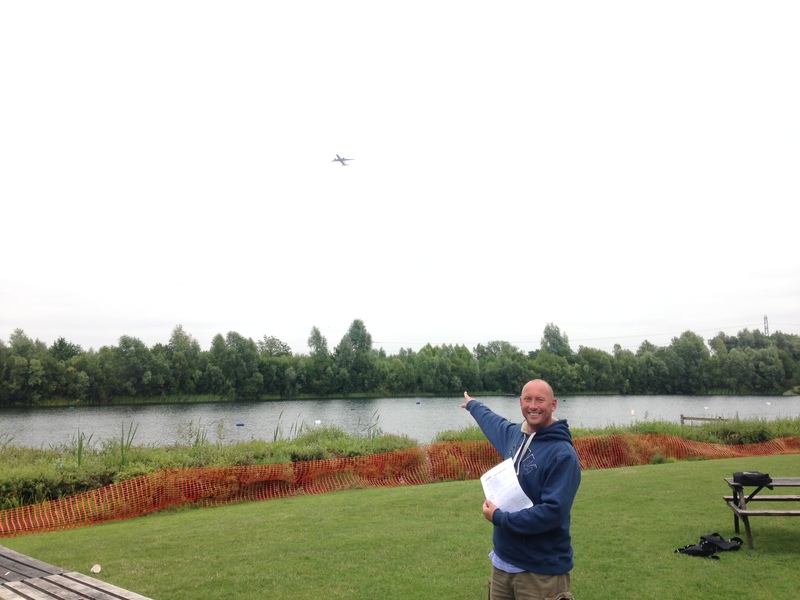 Mark using a real plane as a non diving related training aid! The weekend can be run alongside an IDC before candidates attend an IE. This can be really useful as it gives another weekend practising the skills required to pass the IE. The candidates simply process the speciality instructor certs after completing the IE. The cost of a UK Specs Weekend is £500 as an added bonus I’ll also let you come back on another weekend and complete any other specs you might be interested in, for example Equipment, SMB or navigation!